What? 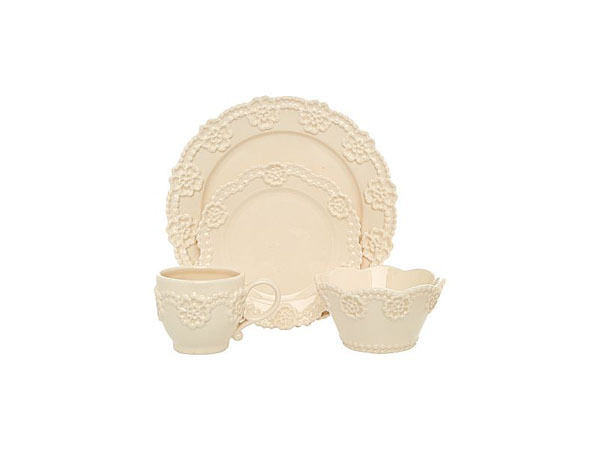 Ok, we admit it, this lace dinnerware set from Shabby Chic is totally twee but we just can’t stop adoring it. There has to be a time and a place for this right? Anyhow, it’s made from practical hard wearing earthenware and is microwave and dishwasher safe. Not too shabby. Prices start from £5.60.